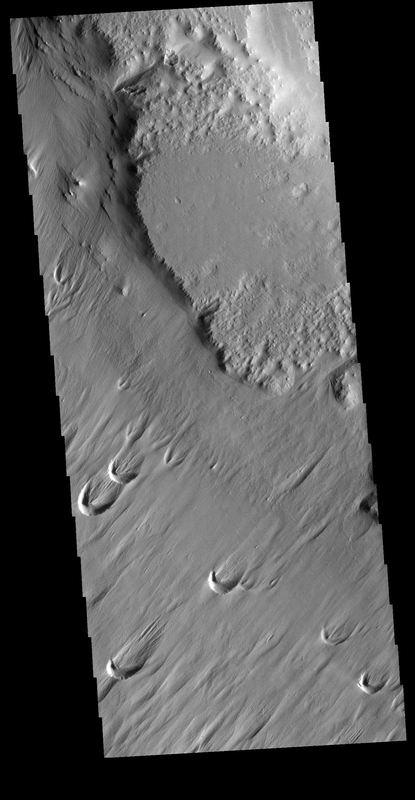 Eumenides Dorsum is a large linear rise located in southern Amazonis Planitia. Erosion by wind action is prevalent in this region. The horseshoe shaped depressions, called blowouts, indicate the major wind direction in this region is from lower left to upper right.